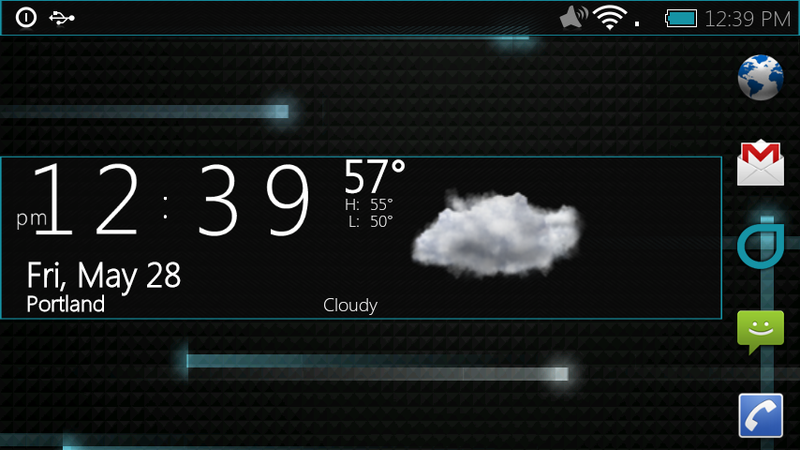 Similar in ways to the DarkEdge theme, DropTheme is an impressive MetaMorph theme which works on the newest CyanogenMod, BB 1.0, and others. It’s still in beta, but I’ve run into zero issues so far. In fact, this thing is beautiful. 3. Unzip DropTheme folder and place in “AndroidThemes” folder on SD card. 7. Let all 23 files load and your phone should reboot. If it doesn’t force it to. 8. Your phone should reboot with DropTheme! Full support and release thread here. *Note 1* – If you wanted a themed launcher, follow the instructions at the support thread to get your launcher apps in /system/app. *Note 2* – Font color on dates, time and notification menu will need to be changed in Spare Parts. *Note 3* – If download links go down, let me know!